Personal Training in your own home, in Tyne Valley and beyond! We recognise that everyone is an individual who requires a bespoke fitness training programme to achieve their goals. Our personal trainers come to you at home, bring any fitness equipment you require, and coach you to meet your fitness goals in privacy and comfort. Our fitness coaches cover Tyne Valley, Corbridge, Hexham, Ponteland and Darras Hall, but can also venture further afield. In your Personal Training with Bespoke Fitness, you will benefit from dedicated one-to-one sessions. Neil and Mark create a unique dynamic, allowing you to focus on one thing – your results. We’ll conduct an initial consultation to create a regime specifically tailored for you, taking into account current fitness, potential injuries, limitations and nutrition. Why not book a free session now and find out how we can help you reach your fitness goals? You will then be guided through an entire programme of health and fitness development. This includes your training, both during and outside the time spent with us, your diet, and your lifestyle - all of which is complemented by our outstanding support and motivational services. We guarantee that our commitment, alongside your own, will deliver results. Don't just take our word for it - hear what our clients have to say about our personal trainers, covering Hexham, Corbridge and Tyne Valley, to Ponteland, Darras Hall, and beyond! Find out more and receive free advice by signing up to our bespoke fitness newsletter. We are offering a free copy of our Fitness and Health e-book to everyone who signs up to our newsletter for a limited time only. Sign up now to receive your bonus e-book! Diet and nutrition are essential elements of a successful health and fitness programme. 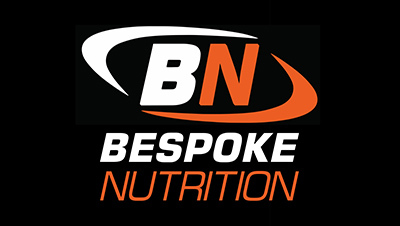 Here at Bespoke Fitness, we place as much emphasis on nutrition and diet as we do on personal training. It’s important to understand the impact that diet has on your fitness and performance, and how to maintain a healthy diet. Progressive personal training methods combined with a balanced approach to nutrition and diet create the best results.